I was more than excited when we got snow for Christmas this year! Granted it was not the 8-12 inches they had originally projected, but any amount of white stuff on the ground is an answer to my yuletide prayers! 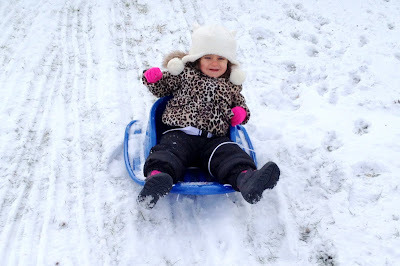 On Christmas Eve Eve we took Avery out for her 2nd ever snow adventure and she had a great time!